Relaxation and Wellness, now read that again, slowly, and then again, even slower this time…you should already be feeling calmer and more relaxed! That’s exactly what we will be focusing on with you during our Relaxation and Wellness Retreat ღ³. 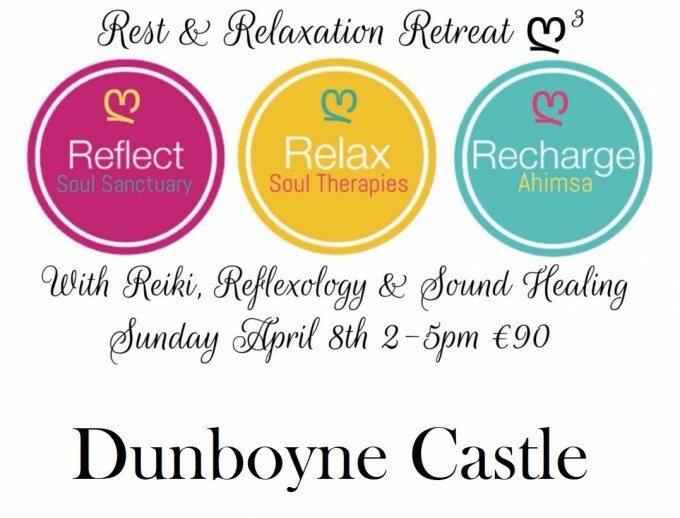 3 Therapists, 3 different therapies, 3 hours – collectively we will be bringing you the opportunity to experience deep relaxation and wellness through Reiki, Reflexology (hand or foot), Sound Healing and more, enabling you to receive the essential self nourishment each of us need and deserve. Absolutely nothing is expected of you except to simply lie down and allow your body and mind to just drift away for 3 whole hours. Healing naturally occurs on many levels when we are in a state of deep relaxation. Even one hour of being immersed in this state is the equivalent of four hours sleep, imagine how you will feel after 3! Think of it as a heavenly 3 course feast of pure rest and rejuvenation, of being fully immersed in a blissful state of stillness as you soak up the soft blend of healing energies. 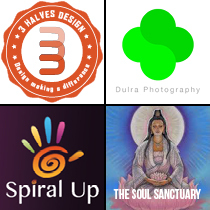 These 3 hours are literally a top to toe, soul to sole overhaul for body, mind and spirit, guaranteed to leave you feeling more positive, balanced and connected than when you arrived.